A group of Bloomfield residents, who say bike share stations will disrupt businesses, have sparked the furor of cycling advocates. In a meeting earlier this week with city officials, Bloomfield Citizens Council head Janet Cercone Scullion, along with Gloria LeDonne of the Bloomfield Business Network, said the three bike share stations along Liberty Avenue "would cause disruption on the sidewalks and disrupt the businesses there," according to mayoral spokesman Tim McNulty. 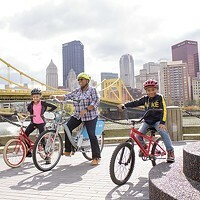 The city, along with non-profit Pittsburgh Bike Share, are set to launch a program called Healthy Ride in May that will for the first time allow residents to rent bikes and return them at any of the proposed 50 docking stations around the city. 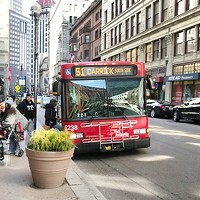 Three stations are planned for the Bloomfield area on Liberty Avenue. News of Scullion's meeting made its way to local bike supporters who expressed concern that the city might re-think the placement of bike share stations in Bloomfield. Scullion, who apparently objects to the placement of bike stations in Bloomfield, would not explain precisely what those objections are. Reached by phone, a woman who identified as Janet Cercone said “I don’t have any information on that for you,” before hanging up. She did not return messages. "We’re trying to show the mayor and city administration that this small group doesn't speak for the entire community,” Chan adds. 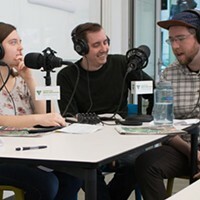 City Planning Director Ray Gastil wrote in a statement that the meeting with Scullion and LeDonne "was a meeting that, frankly, should have happened earlier in the process of designing the network of station locations. Given the serious concerns we heard, we are now reviewing station locations and will be looking at options with the Bloomfield community. "We have also heard your strong support for the Bikeshare program, and its importance to you," the statement continues. "We will be working with everyone to create the best opportunity for residents, businesses, and cyclists." 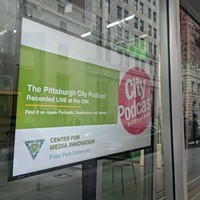 Bike Pittsburgh Executive Director Scott Bricker says “it’s a very hot button issue,” but did not immediately want to comment further. 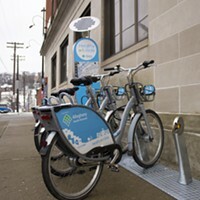 A Facebook page in support of the bike share stations in Bloomfield had 231 members at press time and Chan is organizing a meeting to discuss the issue 6 p.m., Tues. April 28 at the East End Book Exchange.